Israel has an unhealthy love for appliances. 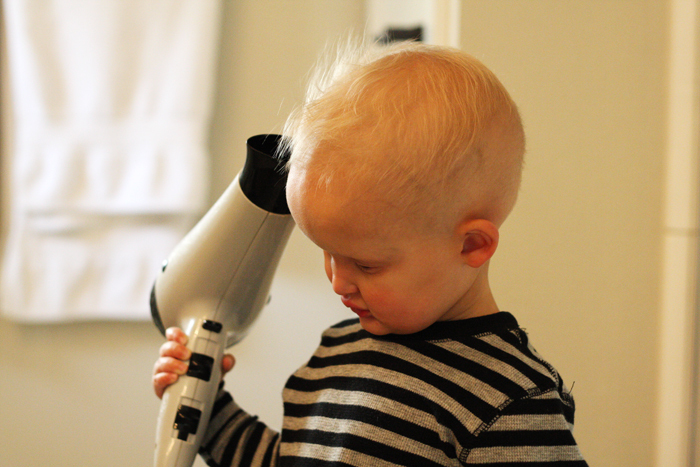 First he mastered the vacuum, yes he vacuums, then it was the blender, I was right next to him the whole time, and now it's the hairdryer. He makes the right side of his fuzz stick straight up this way, but he's so happy doing it that I can't stop him! Oh, Israel's the cutest! He looks so pleased with his situation, the warm air sending his hair sky high... As for the vacuuming, hope that love remains for many years so he can help out with the housework! That is the cutest thing I've seen today. Love the fluffy fuzz! So sweet! Love the sweater.